Surely, the role of appliances today is to make our hectic lives easy, simple, and joyful. And this explains why there are so many appliances in each household. No doubt, we need them all. After all, that’s the way we learned to live. But we still made a choice of 5 home appliances, which are considered a necessity. The keyword here is ‘necessity’. People need to eat, have fresh clothes, consume healthy food, live in comfortable environments, and don’t waste time. And the following list of our must-have appliances cover these needs. Refrigerators are the most vital home appliances. Even bachelors, who hardly spend their time home, need to preserve their cheese and butter. Not to mention the needs of a modern family. From preserving leftovers, dairy, and vegetables to keeping the juices cool and the water cold, they all need fridges. In fact, we need both fridges & freezers today. We might do without icemakers but not without the main appliance in the house. Having a washing machine is not a luxury. It’s about having clean clothes to go to work or send the kids to school. And then again, it doesn’t only have to do with cleanliness but your health too. 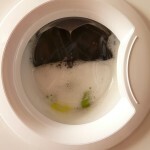 Clothes are sanitized when washed in the laundry machine. There is no doubt that the washer & dryer combination is much better. But if we would have to choose among the two, we would most likely hug the washer and won’t let go. The idea of having meals ready in just minutes made the microwave oven everyone’s favorite appliance. Since most families are very busy and not always in the mood of preparing large dinners, the microwave untied their hands. This explains why you will hardly find a household without a microwave today. Although microwaves are most people’s preferred cooking appliance, there is always a need for a range or separate ovens & stoves. After all, how else will you be able to prep food for large family gatherings and festive feasts! 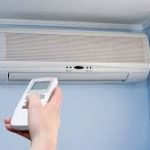 Air conditioning and heating systems have become a necessity with climate changes and the need to keep homes at the right temperatures at all times. Things are different now than they used to be decades back. The cities are denser and there are plenty of security concerns. You can’t keep the windows open all around the house when heat waves hit in the summer. So ACs are not only about your comfort but safety too. Some would choose their dishwasher or television as their favorite appliance. And there is no doubt that once the family celebrations come to an end, washing the dishes will be a drag. And nobody doubts the relaxation in front of the TV. All the same, you could go most days without these appliances but not without your washer and definitely not without your fridge.